A teaching union in Birmingham has claimed it was "inevitable" cash allocated to schools for poorer pupils would fail to help. 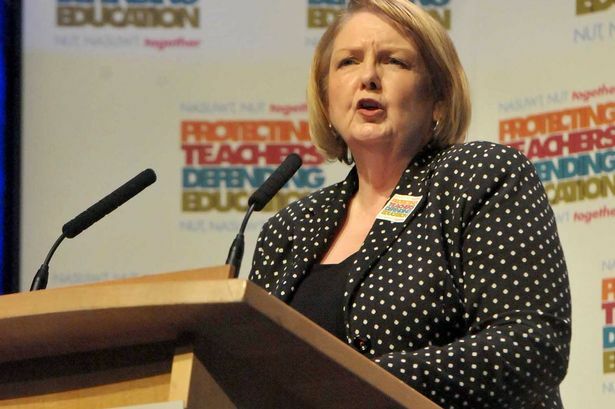 Chris Keates, general secretary of Rednal-based NASUWT, spoke out after a report was released by the National Audit Office (NAO) on pupil premium funding. The spending watchdog found the cash, which was allocated to schools for each of its pupils who were from deprived backgrounds, had yet to make an impact. It comes after the Education Funding Agency (EFA) revealed in February it found a trust behind three of Birmingham&apos;s Trojan Horse school had squandered £27,000 of its pupil premium cash on a public relations campaign. Investigators said the money had been paid to an unnamed PR company "without EFA authorisation" and formed part of £70,000 worth of "financial irregularities" authorised by the former Park View Educational Trust between April 2012 and May 2014. The probe predominantly involved cash spent at Park View School, in Alum Rock, which was placed in special measures in April last year following allegations of a plot by hardline Muslims to take control of the governing bodies. Ms Keates said: "The concept of the pupil premium is a good one. However, when it was first introduced we predicted that, given the cuts to school budgets, the funding would inevitably end up being absorbed into the general school budget, minimising its impact. "A recent NASUWT survey on the use of the pupil premium found that over half of teachers did not know how the additional funding is spent in their school and over a third had not been made aware what priorities their school had focused on to support pupils who attracted the pupil premium funding. "In too many cases, teachers were not seeing any extra resource in their classrooms. "As this latest report highlights, the pupil premium has the potential to make a real difference to the most disadvantaged pupils but the benefits are currently being hampered by the lack of scrutiny on how it is being funded and spent. "If real progress is to be made in closing the achievement gap for the most disadvantaged pupils, then those actually teaching the pupils need to be consulted on its use, there needs to be a clear system of monitoring its use and, above all, schools need to be funded appropriately to ensure the pupil premium is truly additional funding." However, there has been some pupil premium success stories in Birmingham - with Ofsted revealing in July last year how those pupils eligible for the funding had outperforming most other areas of the country at GCSE level. Figures showed 47.3 per cent of pupil premium pupils in the city achieved the benchmark of five or more A* to C grades, including English and mathematics. The national average was 37.9 per cent. And earlier this year Parkfield Community School was named one of the top in the country after helping boost the academic success of its disadvantaged pupils. It clinched a prize of £100,000 from the Department for Education after becoming one of four schools in England to win the Pupil Premium Awards which are aimed at celebrating the schools that have best used pupil premium funding. The school, in Saltley, where 40 per cent of its students are entitled to pupil premium funding, beat competition from 62 finalists to be crowned one of the country&apos;s best schools. Last year, 82 per cent of its disadvantaged 11 year olds achieved an above average level of reading, compared to a national average of 53 per cent of none pupil premium funded children. The NAO is calling for a review of the way money is calculated for disadvantaged children because not all of them are being identified for extra funding. "Some schools with very disadvantaged intakes have less money per pupil now, in real terms, than in 2010, despite the extra funding provided by the pupil premium," the report says. A Department for Education spokesman said: "We are determined to ensure that every child, regardless of background, is given an education which allows them to realise their full potential. "The NAO&apos;s report recognises the important role which the pupil premium has had in improving the educational outcomes and ultimately life chances of some of the most disadvantaged young people. "However, we know there is more to be done to tackle educational inequality and we will consider the findings of the NAO report carefully."